*Inglewood, CA – The Inglewood Alumnae Chapter (IAC) of Delta Sigma Theta Sorority, Inc, in collaboration with Women of Vision, a 501(c)(3) public benefits corporation, is excited to announce their inaugural Jabberwock Talent Slam. The talent showcase will take place at the Nate Holden Performing Arts Center in Los Angeles. on Saturday, April 30th from 3-8pm. There will be an art walk, silent auction, food trucks and more. The Jabberwock Showcase is a contest that will showcase the talents of youth residents, ages 11-25, of the city of Inglewood and surrounding Los Angeles County areas. Contestants will compete in Visual Arts (drawing/painting and graphic design) and Performing Arts (vocalist/singer, dancing and spoken word/rap). Cash prizes will be awarded in three age groups; 11-14, 15-18 and 19-25. 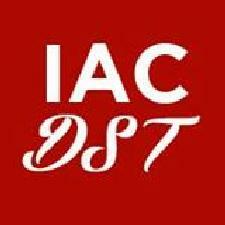 Entry is FREE online at www.iacdst.org, and the deadline to enter is April 9th. The Jabberwock will be judged by local and international artists Charles Bibb, Michael Massenburg and Darel-C. There will also be special performances from Urban Xtreme (pop group) and Roshon (songwriter/producer/artist). General admission is $35 and tickets are available online at Jabberwock.eventbrite.com. All funds raised go towards Inglewood Alumnae Chapter’s scholarships and programs for youth. Delta Sigma Theta Sorority, Inc. was established in 1913 and is an organization of college educated women committed to constructive development of its and members and to community service with a primary focus on the Black community. IAC provides programs based on the national organization’s initiatives. The programs have resulted in the participants achieving higher academic performance and preparing for STEM careers. High school students are provided workshops, activities and experiences to help them become more well-rounded individuals, develop leadership skills and get accepted into four year colleges and universities. IAC has provided over $100,000 in scholarships to high school graduates since its inception. For more event and ticket information, visit www.iacsdst.org or contact Mary Baker at 310.466.8051.